Do you ever think to yourself: I wish I was on a deserted island with Shinhwa! Don’t worry, you are in luck! Cheers! A mysterious preview hints at a deserted island and some kind of Survivor style elimination. BTS pics hint at Shinhwa playing the role of “the others” ala Lost. Okay, totally made the Lost reference up, but I have to try to reference something out of the waste of a show that was Lost….or I will just go back to shaking and crying in a corner. Trust me it is not pretty. Disregarding my past trauma and returning to Running Man, BTS photos have been released showing the members of the long running Kpop group Shinhwa filming with the cast on an island. Some sites are declaring Shinhwa guests during episode 160-others are saying episode 161. Regardless, a deserted Island and Shinhwa? Yes please. Where do I catch the next boat?! 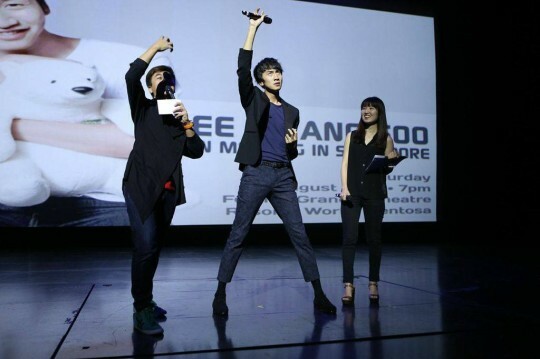 The giraffe jetted off to Singapore for a fan meeting on August 17th. 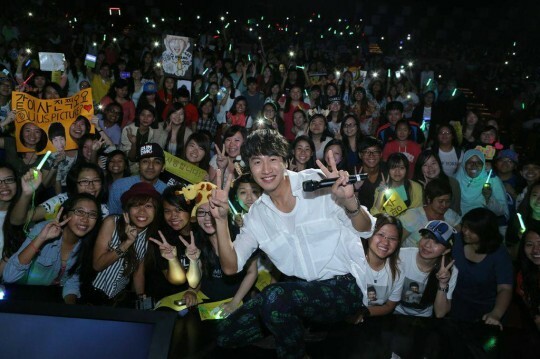 The meet up was attended by 1,000 fans of the Asian Prince. Judging by all of the photos and video released the fan event went off without a hitch. To start things off Kwang Soo sang “Hug”. Kwang Soo singing? I am entertained just thinking about it. During the fan meeting the audience played a telepathy game with the star, guessing which pose he would strike next. 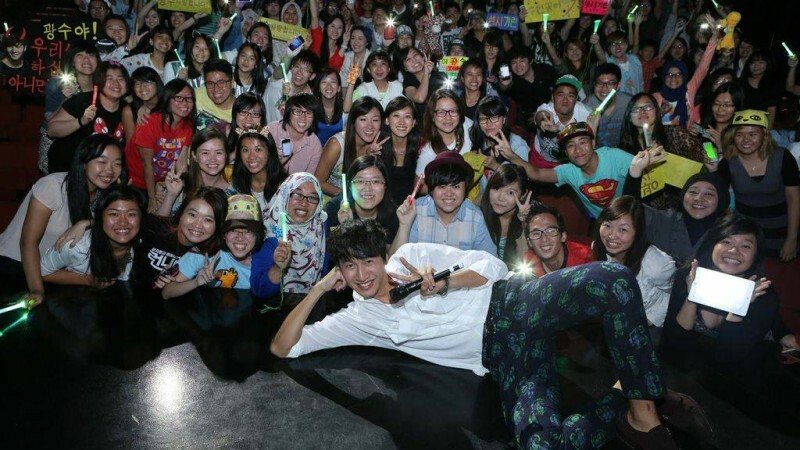 Ten fans who guessed correctly were invited on stage to bask in the giraffe’s glory. How I wish I had been there! You can check out more pics and a plethora of video (including a MSN interview and greetings from the Running Man cast + Song Joong Ki) below. I know- as I was watching this I wondered how bad LKS felt about his lack of English skills. Regardless of his multilingual talent: Giraffe fighting!